When a market selloff hits, most stocks get hit, too. But, not all stocks. During every crash, there’s a group of stocks that defy the downturn and head higher, regardless of the bearish backdrop. This group of stocks changes during every selloff because the dynamics of every stock market rout are different. But they’re always the best stocks to buy during a correction. But, the implication for this group of stocks is always the same: You want to own them so long as the current selloff persists. Right now, markets are being dragged down by the threat of bigger tariffs and higher rates causing a global economic slowdown. The S&P 500, Dow Jones and Nasdaq are all in correction territory. 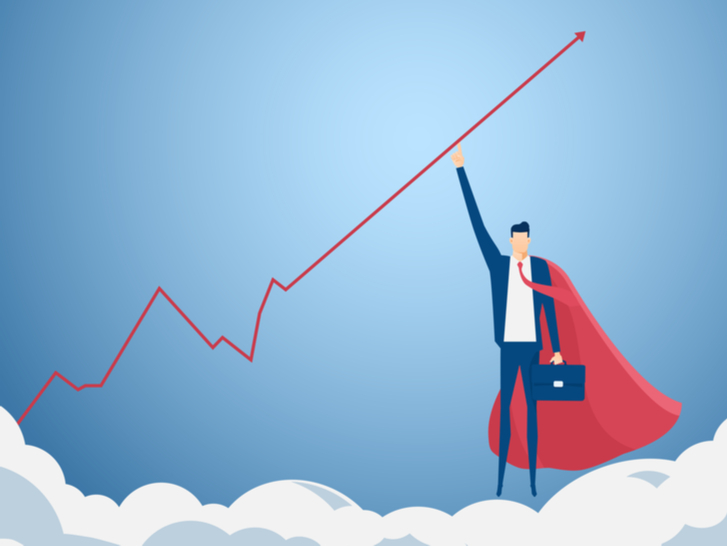 Considering rates are only going higher and there’s been no progress on the trade war front outside of a ninety-day truce, the consensus outlook is for these headwinds to continue to drag on markets for the foreseeable future. But, there’s a group of stocks out there that aren’t being dragged down at all by these headwinds. Why? Because they don’t have tariff exposure, and higher rates don’t have an effect on their business all that much. As such, so long as these headwinds continue to plague markets, this group of resilient stocks will outperform. Which stocks belong in this group? Let’s take a look the 10 best stocks to buy that have defied this selloff to help markets rebound. 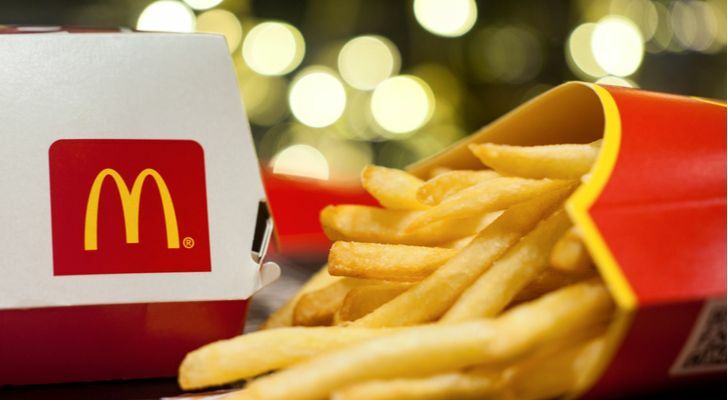 casual giant McDonald’s (NYSE:MCD) has not just defied the recent market selloff and risen 10% while the market has dropped 10%, but MCD stock is also trading at all time highs. Why the resilience? McDonald’s is a global seller of low-cost foods. If economic growth does slow from higher rates and/or tariffs, that won’t hurt McDonald’s. Instead, it could actually help, because consumers will stop eating at Shake Shack (NYSE:SHAK) are starting to eat at McDonald’s more. MCD stock outperformance will continue. The stock is expensive up here, but the fundamentals are as good as ever in a market with deteriorating fundamentals. As such, investor demand for MCD stock will only grow, and because investor supply/demand ultimately dictates stock prices, MCD stock will continue to be a winner for the foreseeable future. Consumer staples giant Proctor & Gamble (NYSE:PG) has actually been a big winner during the recent market rout. While the major indices have tumbled into correction territory since early October, PG stock has rattled off a double digit gain. Why the resilience? Because when you talk about stable and defensive stocks, few fit the bill as perfectly as PG. This company makes the sort of consumer staples goods that consumers will keep buying with equal frequency regardless of the economic backdrop. As such, tariff and interest rate headwinds aren’t of major concern to PG. The one problem with PG stock here is valuation. It’s trading at 21 forward earnings, which is fairly high for this low growth company. But, that multiple is warranted given the company’s operational stability, especially amid broader economic volatility. As such, this stock should continue to work here. Retail stocks haven’t benefited from the same Santa Rally they had to close out last year. 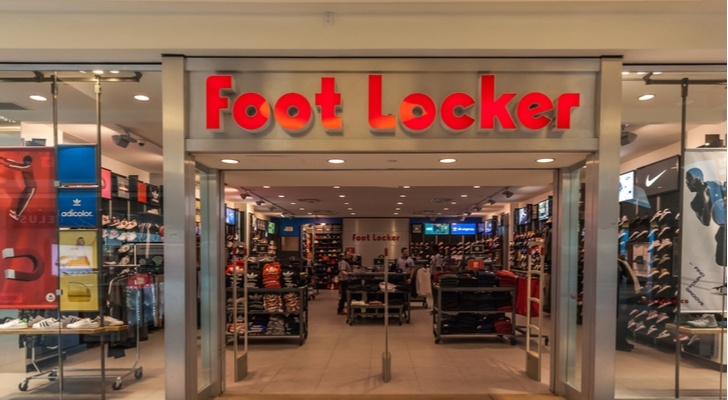 But broader retail weakness hasn’t stopped footwear retailer Foot Locker (NYSE:FL) from heading higher over the past few months. Why the resiliency? Simply, Nike (NYSE:NKE) is on fire, and the U.S. consumer is very strong. As such, Foot Locker, which sells a ton of Nike product, has benefited from dramatically improved numbers over the past few months. Those improved numbers have driven this dirt cheap stock higher. FL stock should stay on its winning trajectory. Presently strong labor conditions imply a healthy outlook for the consumer over the next several months. Meanwhile, the athleisure trend remains the go-to apparel trend, while Nike is regaining momentum in the athleisure world. All of these developments are good things for FL stock. 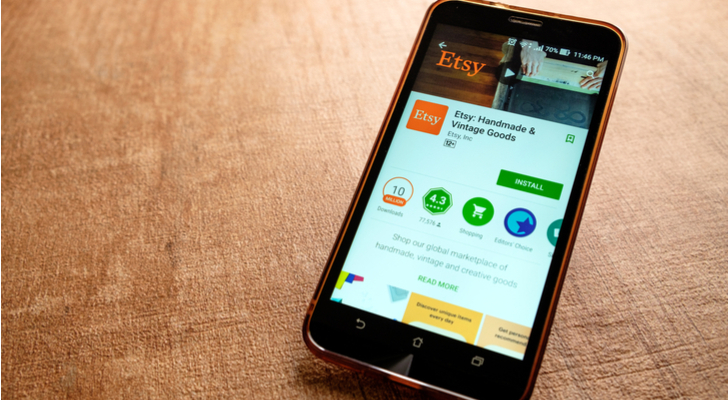 Considering the recent selloff has killed hyper-growth tech stocks, one would expect digital retail marketplace Etsy (NASDAQ:ETSY) to have been a big loser over the past few months. Instead, it has rallied 10% while many of its peers have dropped 20% or more. Why the resiliency? Because Etsy’s numbers have been resilient, too. Last quarter was a record one for Etsy, and revenue growth and margin expansion trends remained exceptionally favorable. The big takeaway was that despite broader economic concerns, Etsy buyer/seller engagement continues to grow to record levels. This outperformance in Etsy stock will likely persist. There aren’t any trade headwinds here. There also aren’t many interest rate headwinds, since Etsy is mostly all small ticket items. Thus, headwinds will remain on the sideline, and that will allow the growth trajectory to continue to improve. So long as that improves, the stock will head higher. Perhaps the most surprising name on this list is electric vehicle manufacturer Tesla (NASDAQ:TSLA). One would expect Tesla to trade with the FAANNG names, especially given its super-rich valuation and huge debt load in a rising interest rate environment. But, Tesla stock has done the opposite, rising 16% while its FAANNG peers have largely dropped 20% or more. Why the resilience? 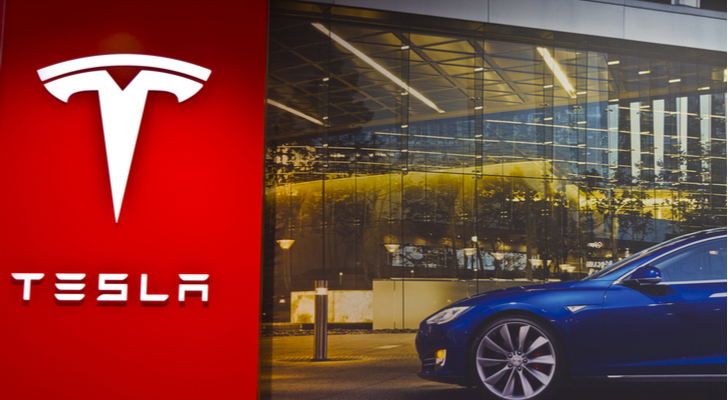 Tesla’s fundamentals have dramatically improved over the past few months. Model 3 production has gone from less than 1,000 vehicles a week, to more than 1,000 a day. The company is now profitable. Gross margins are improving. They are side-stepping tariffs by building a Shanghai factory. The electric vehicle revolution is only picking up momentum globally. All together, the bull thesis is starting to gain mainstream traction, and the bear thesis is starting to lose its legs. But, about 25% of the float still remains short. That means this stock has a bunch of buying firepower in the event of a sustained positive news flow. Thus, if this company can keep up its operational momentum in 2019, you could see a short squeeze send TSLA stock way higher than where it is today. The recent stock market rout has not been kind to retail stocks. 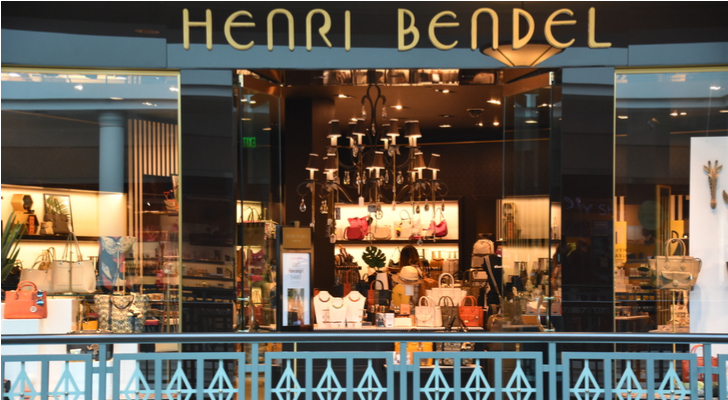 But, one retailer that has managed to outperform during this stretch is L Brands (NYSE:LB). The parent company of Victoria’s Secret and Bath & Body Works has rallied 5% against the backdrop of a 15% decline in the SPDR S&P Retail ETF (NYSEARCA:XRT) since early October. Why the resilience? The ugly duckling at L Brands, Victoria’s Secret, is finally starting to show sings of improvement ahead of the holiday shopping season. This has given investors hope that a Victoria’s Secret turnaround is here, and has investors buying the stock regardless of broader economic concerns. LB stock looks positioned to keep running higher. The stock is really cheap, the VS business is bouncing back, and the U.S. consumer remains vigorous this holiday. That combination implies a favorable near to medium outlook for LB stock to head higher. Digital education platform Chegg (NASDAQ:CHGG) has had a rough run over the past few months. But, that all happened prior to the market selloff and was the result of a data breach. Since then, Chegg stock has rebounded, and it has strongly outperformed the market during this recent selloff. Why the resilience? Chegg is a low-cost, student-first platform with exclusive U.S. exposure. Thus, trade war headwinds don’t affect this stock. Neither do higher rate headwinds since students aren’t going to stop paying for a digital education tool if rates inch up a few quarter points. Instead, it should be largely business as usual for Chegg for the foreseeable future. Business as usual is a good thing for this stock. Chegg is gradually transforming into a must-have connected learning platform for high school and college students across America. Growth is big. Margins are big. Profits are big. And, the company is only getting started (student market penetration in U.S. is just 6%). As such, this is a long-term winning stock with resilient qualities. Beverage giant Coca-Cola (NYSE:KO) has not surprisingly been impressively resilient during the recent market selloff. Since early October, the stock is up 6%, and it currently trades right around all time highs. Why the resilience? Coca-Cola is the poster child for stability. Everyone in the world drinks Coca-Cola’s beverages. They have for a long time, still do, and will continue to do so, regardless of economic backdrop. Bigger tariffs and higher rates don’t significantly threaten the growth outlook for KO. As such, KO stock has been steadily rising in a down market. This will continue. The company is successfully and appropriately diversifying its product portfolio away from carbonated soft drinks, and that is helping boost brand relevance and operational results. So long as this diversification persists, KO stock will continue to perform well, regardless of economic backdrop. Pot stocks have largely been cooling off with the market since early October. But, Canadian producer Cronos (NASDAQ:CRON) is actually up 15% since the market selloff began. Why the resilience? Because of a huge $1.8 billion investment from Marlboro cigarette maker Altria (NYSE:MO). 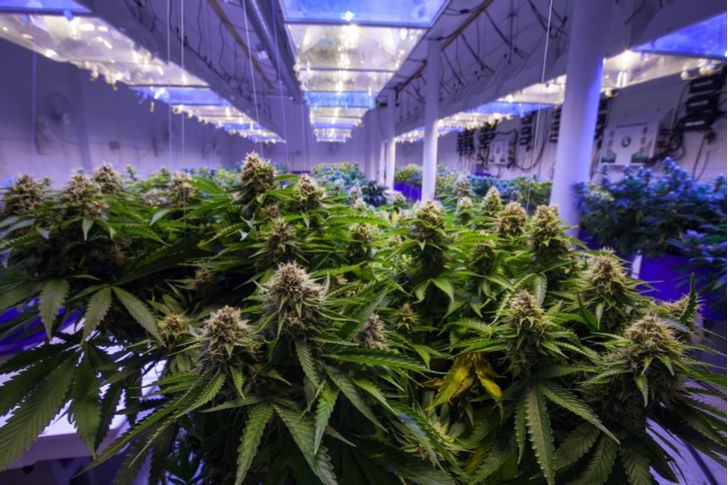 This investment shows that big money is increasingly bullish on the growth prospects of pot stocks, and that near term headwinds regarding tariffs and interest rates are just noise in the big picture for pot stocks. After all, these are stocks you buy for their 10 year-plus potential, and today’s interest rate and tariff headwinds won’t be around that long. Going forward, pot stocks look like a good place to hang out. Much like Tesla, pot stocks are developing loyal investor bases which believe in the long term growth potential, regardless of near term noise. This loyalty will help Cronos and other pot stocks weather the market selloff, so long as the underlying cannabis trends remain favorable. The unlikely hero in the tech sector during the recent market rout has been Twitter (NYSE:TWTR). While digital advertising peers Facebook (NASDAQ:FB) and Alphabet (NASDAQ:GOOG) are both down between 10% and 15% since early October, Twitter stock is up nearly 20% during that same stretch. Why the resilience? Strong third quarter numbers at the end of October shot this stock way higher. Those strong numbers confirmed that Twitter is still accelerating growth in its digital advertising business while dramatically improving margins. This stands in stark contrast to Facebook and Alphabet, both of whom are suffering from slowing growth and falling margins. 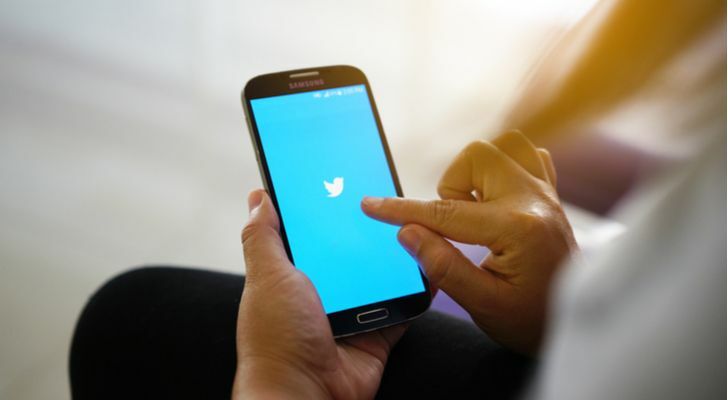 The resilience in Twitter stock should persist because the headwinds affecting its industry aren’t hitting the company yet. In the digital ad world, the red flags are from regulation and slowing growth. But, Twitter’s name hardly ever gets tossed in the regulation ring because the company isn’t that big. Meanwhile, underlying ad growth rates are improving, not slowing. So long as these headwinds remain on the sideline, Twitter stock should head higher. As of this writing, Luke Lango was long MCD, FL, NKE, TSLA, LB, CHGG, CRON, TWTR, FB and GOOG. Article printed from InvestorPlace Media, https://investorplace.com/2018/12/10-stocks-defying-the-market-selloff-including-cronos/.